Roger Olson has a new post out containing a Review of Sacred Word, Broken Word: Biblical Authority and the Dark Side of Scripture by Kenton L. Sparks (Eerdmans, 2012). This is rational, salient and sober. We have many faults as Christians, but I believe the most egregious is to practically worhip the bible over Jesus himself. This post cuts to the heart of much of it. Here is a highlight of the post. Telling the difference between these two types of texts is a matter of Christological discernment, not cultural accommodation. Sparks adamantly rejects any idea that his proposal is based on modern sentiments. To those who disagree he rightly points back to church fathers such as Gregory of Nazianzus and John Chrysostom and others who freely admitted that the texts of terror in question could not be taken at face value. The way premodern Christians handled them was to allegorize them. That method isn’t open to us. So where does that leave us? I have not heard the Judas argument before, but I find the whole thing quite compelling. Go read the whole post (and comments) to get a full flavor. I find myself getting into (internet) conversations rather frequently with people who believe that they can somehow know the truth about something in religion. Generally, I find these folks who don’t like my interpretation of something in the bible, and they say something like “you have to be true to the word of god! You are contorting god’s word! ” or something like that. They say that they, on the other hand, live under the authority of the bible and that I should too. I explain to them that I do live under the bible, its just that my interpretation is different than theirs. For instance, I don’t believe that the world was created anytime in the past 10,000 or 20,000 years or that it was in 6 days or in 6 periods of 1,000 days or anything like that. I also don’t believe that there ever was a literal Adam or Eve or a garden of Eden, let alone a talking snake! And guess what! I believe that the bible supports my view and that my view is closer to the truth than theirs. This seems to be a difficult concept for so many Christians to understand. They think that how they interpret the bible is god’s word, yet anyone else who interprets it differently is twisting the bible and going against god’s word. In the latest incarnation of this debate we were discussing the role of imagination in our perception of the world. I was contending that pretty much all we do is imagine, that we really do not have direct access to truth in the world. As an example I said that if I see a tree, what I am doing is making an imaginary picture based on electrical signals coming from my eyes. And my eyes produced the electrical signals due to light hitting them. So what I have access to is my interpretation, my imagination of the object that I assume light bounced from. But of course, if someone were feeding electrical impulses to my brain just like the ones my eyes produce, then I would still see the tree, even though it is not there. Just as you cannot directly see the tree, you also do not have access to absolute truth. Or, there is no such thing as absolute truth to us. My conversation partner clearly does not like that view. He says that he can read the bible and see what it says and that the bible has absolute truths in it. The problem is that even if the bible does contain absolute truths, he can never claim to know them. The reason is that each of us can only see the world through our own perspective. None of us are in a privileged position where we can know what is true and what is not. The best we can do is apply our reason to texts like the bible to come up with what we think is a rational notion of the truth. Now, this brings up another rhetorical ploy of the biblicist. They will immediately shout that you are putting your own thoughts above god’s! What they fail to understand, and I wish I could figure out how to make them understand, is that they too are doing exactly the same thing. The think that they know what the bible is telling them, but it is only their interpretation of what they are reading. Or in the case of most of these folks, it is their interpretation of an interpretation made to translate multiple non-original documents written in a dead language over 2,000 years ago into our language and our society. So, to help explain the idea to them that there is no absolute truth, I wrote the following fun reply and thought I would share it. My daughter and I are raising a new batch of chickens this spring and they are nearly full grown now. We keep them in a coop in the back yard while they are young, and will be free range as they get older. Click the picture to see an enlarged version of what I am talking about. 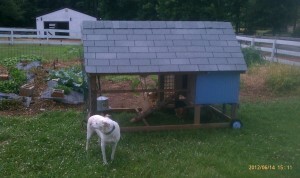 Well, the dog in the picture is Freckles and she has had an interesting reaction to these new chickens. You see, we had chickens before and she never really bothered them. The chickens and her would simply ignore each other. But when the chicks were young and we started keeping them in the coop, she would immediately throw herself against the wire on the coop and run around trying to get them and eat them. It was obvious that her brain saw these chicks and could only see them as one thing, a tasty meal that she must, absolutely must get. My daughter and I were a bit shocked by this since she really did not do that to the other chickens. But after some research and thinking we realized that it was the peeping noise that the chicks made. The peep when they are young, and then start to cluck when they get older. That peeping noise was an obvious signal to her to eat them. As time went on, the chicks start clucking, and now they only cluck. No more peep noises. But Freckles still attacks them in the coop and thinks they are food! Hmmmm. 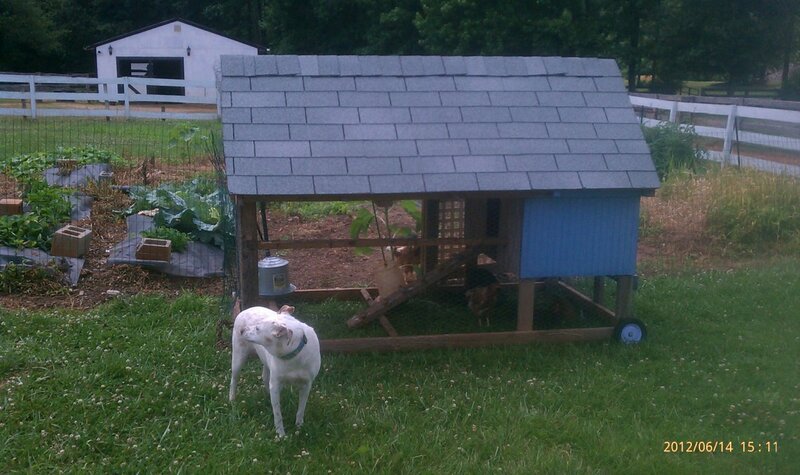 Well, Nikki and I determined it was time to take the next step in chicken raising, so we put the chickens in the garden. You can see the garden behind the coop in the picture. We were a bit worried about Freckles because she was absolutely viscous toward them and the fence for the garden is not exactly bullet proof. Much to our surprise, when we let Freckles out to see the chickens in the garden she totally ignored them! Worse yet, she would walk by them, wag her tail, then proceed to go over to the empty coop and freak out trying to find those good things to eat. She did not recognize that the chickens in the garden are the same ones that were in the coop, and the ones in the coop were food, but the ones in the garden are not. First, it is clear that there is such a thing as a chicken that we all can agree to. But Freckles has two different subjective views of that chicken, and I pretty sure they both are different than my subjective view. Her view that the chickens in the chicken tractor are clearly interpreted by her as “food that I must eat”, but the same chickens in the garden are “chickens that I ignore”. The two concepts for Freckles are just like it is for any of us. Each of us has our own contextualized version of what a chicken, or tree, or god, or bible, or sin is and they are all different. None of us is smart enough nor omniscient enough to know what the true chicken is like. So, it is vital that we realize this when we talk to other people. Someone’s pet chicken may be a mouthwatering lunch to someone else. We need to be open to the fact that the objective truth is probably unattainable to either of us, but we can work together to try and get there. I hope you enjoyed this, it is quite important that we all understand how we fit into the world. Should we read the Bible as Metaphor or Literally? I have written before (A New Universalism, No One is going to Heaven) about the relationship between heaven and our life after death. In that post I came down quite clearly on the side that heaven is not a place where we are going to go, but is the place where god lives. I also supported that through an analysis of every verse in the New Testament where heaven is mentioned. But, many people look at the thief on the cross and believe that Jesus is indeed referring to heaven when he says “today you will be with me in paradise”. This says a couple of things. First, it says that it will be today and second that Jesus will be wherever this place is located. N.T. Wright has discussed his view of life after life after death on many occasions and most notably (for common folks like us) in his book Surprised by Hope which I highly recommend. In there he does refer to this life after death as being in paradise, and in being with Jesus. I believe that Wright comes down on the side that it is still a bit of a mystery since all we have are sign posts pointing to what that future will be like, and no clear pictures of the actual location. I also watched this video N.T. Wright – Rethinking Life After Death today. In it Wright again discussed his view on heaven, hell, the resurrection and what the core beliefs about these subjects for Christians today. I recommend that as the best summary I have seen on the subject. But there is something else he discusses that I found quite useful. Now that offers a bit different perspective on the debate because it gives us new vocabulary to use about the contents of particular passages. He uses the example of Daniel 7 that has a part where 4 monsters will come out of the sea and Danial discusses what these monsters are like. Clearly everyone would read that and recognize that there will not be 4 actual monsters coming out of the sea, those are not concrete parts of the metaphor. But the fact that there are four of them is something that we would start to believe refers to four actual things. People get hung up on stating that something is metaphor or literal. This gets particularly nasty when someone refers to something like Genesis 1 as poetry. There are many who will argue that Genesis 1 does not fit the definition of what poetry looks like in ancient Hebrew. And I think they may be right. But they go on to say, therefore, it cannot be metaphor and must be read literally. At that point I disagree and Wright helps me with the language he uses in this video. Genesis 1 is largely abstract representations of concrete happenings, in my view. It may not be poetry, and it may be inappropriate to refer to it as only metaphor, but it seems that the concrete and abstract language applies wonderfully. Wright does not use Genesis as the example in the video, he uses the rapture text. He clearly feels the Thessalonians text is talking about an abstract idea, not something concrete. I hope that this language can help. I disagree with his conclusion that we have to believe in 6 literal days of creation, but find his argument interesting and logical. In the end he says that the universe indeed does look old, and he does not know why. The younger Piper has posted about the Jeremy Lin phenomenon. While I don’t have a problem with a basketball player being a Christian, here is an example of how the Calvinist stance in the world of seeking the “glory of god” goes astray. I could not post a reply on his site, but was able to post this reply on Justin Taylor’s blog. Barnabas Piper was onto something, but then he went wrong. Yes, he was totally right that it is OK for people to compete while supporting the dignity of their opponents. He says “The truest forms of competition are not those which seek to humiliate another person or self-aggrandize.” I was on board with this. He starts to go wrong with the attitude saying “But tension does not correlate to contradiction.” I believe Barnabas is now pushing the envelope, because a tension necessarily means that there is a tension, that there is friction, that there is a problem here or at least the warning signs of a problem. But Barnabas says no to that. Really. Christians are supposed to be excellent no matter the endeavor? Clearly Barnabas would not support your endeavor being abortions, right? Or how about it being killing? Or, let’s say, misleading people with bad theology? If using our talents in this world to their fullest is excellence regardless of the endeavor glorifies god then you have one sick god. The endeavor is the thing that identifies alignment with god, not the outcome. Barnabas misses the boat. What I see time and again is that this orientation around seeking to glorify god routinely ends up being a way to glorify the follower. Barnabas is not right on this. Having said all of that, I have nothing against Lin playing basketball, if he plays fair. But to say his playing is something that promotes the glory of god misses all the things that Jesus said about who is blessed and who is not. Barnabas Piper is wrongheaded in this. Using our talents for to their fullest glorifies us. Using our talents to promote god’s purposes glorifies god. I’ve recently stumbled across a video series that is well done and insightful in regards to dispelling the theory that certain features of life are irreducibly complex, and therefore, must have been created. This is an argument that I just wish that my brothers in Christ would simply give up. The more I see illogical arguments for the existence of god the more I wish they would just go away. There is no proof for God, and irreducible complexity isn’t even close to respectable. If you have not heard of irreducible complexity then it is better if you just don’t, but if you want to, here is a good article on it Irreducible Complexity. 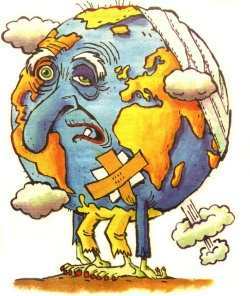 IC has been put forth to aid in the defense of the bible indicating that the earth is only 10,000 or so years old, or, if it is older, that god designed the life about that long ago. This Young Earth Creationism (YEC) view is dangerous to Christianity. It is dangerous because it forces people to believe in something that is contradicted by all evidence here on earth. I personally believe that the universe was indeed created by god, and he did it roughly 14 billion years ago and has used evolution as his mechanism to create all forms of life. God is Great! But this pseudo-science is trying to undermine the majesty of god’s creation by making up arguments that have no basis. These videos encapsulate many of the best arguments that I have seen against this ill informed approach. Kevin DeYoung, a Calvinist, has a post on his blog that I greatly enjoyed today. This post and position is a great example of how two people could agree on a conclusion, but disagree on everything else. I agree with the title of his post, but nothing else. DeYoung’s post Why We Must Be Unapologetically Theological is a post who’s title sounds like something I would write. I am a big fan of truly understanding the Majesty and mystery of Christan faith. But once I get past the title, things go down hill quickly. If you want the nutshell of this, just look at the graphic on his post. It says “theology is simply the part of religion that requires brains”. Wrong Kevin. Theology is about Jesus and the gospel and is here for everyone. God has revealed himself to us in his word and given us his Spirit that we might understand the truth. While I could agree with this on the surface, DeYoung is viewing this in a wild way. First, he assumes that the only revelation of god is scripture, so he subordinates the Holy Spirit to the bible! Wow, how can a Christian do such a thing. The New Testament places a high value on discerning truth from error. 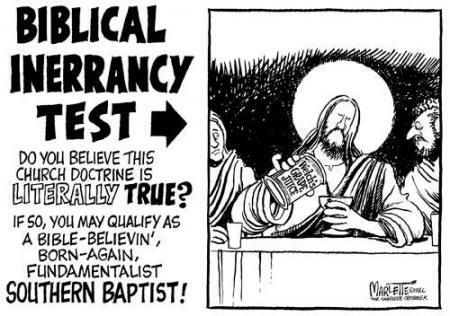 Well, I certainly believe that the New Testament is there to do exactly that, to tell us what is true. But DeYoung goes no further in this point, he simply continues to say that we must guard truth, but does not say how to tell trutth. The ethical commands of the New Testament are predicated on theological propositions. So many of Paul’s letters have a twofold structure. The beginning chapters lay out doctrine and the latter chapters exhort us to…. Here is where DeYoung really begins to miss the idea. He is assuming that the idea of the new testament is contained in the letters of Paul. But that is just not true. Paul talked about the most important aspects of Christianity with the people face to face. He is clarifying, in general, fringe elements of the ideas in his letters. There are a couple of exceptions, most notably 1 Cor 15, but in general Paul does not discuss the actual gospel. Theological categories enable us to more fully and more deeply rejoice in God’s glory. Simple truths are wonderful. It is good for us to sing simple songs like “God is good”……But he is also pleased when we can sing and pray about how exactly he has been good to us in the plan of salvation and in the scope of salvation history……. Theology helps us more fully and more deeply rejoice in the blessings that are ours in Christ…..But how much fuller and deeper will your delight be when you understand that salvation means election to the praise of God’s grace, expiation to cover your sins, propitiation to turn away divine wrath, redemption to purchase you for God, justification before the judgment seat of God…. What? OK, Jesus is here for all, and one could easily argue for the least, well, that’s just what Jesus says. But DeYoung has to resort to a bunch of Christian gobbledygook that makes no sense. Kevin, do you really thing that the Lord of the universe needs for us to understand election, propiation and such? Do you really thing god wants us to fear him?!?!?! OK, let me sing the praises of the propiation of God’s Wrath! That’s enough to get me up in the morning. That may be your god Kevin, but its not mine. Even (or is it especially?) non-Christians need good theology. They may not thrill to hear a dry lecture on the ordo salutis. But who wants dry lectures on anything? If you can talk winsomely, passionately, and simply about the blessings of effectual calling, regeneration, and adoption, and how all these blessings are found in Christ, and how the Christian life is nothing more or less than being who we are in Christ, and how this means God really does want us to be true to ourselves, but ourselves as we were born again not as we were born in sin–if you give non-Christians all of this, and give it to them plainly, you’ll be giving them a whole lot of theology. And, if the Spirit of God is at work, they just might come back looking for more. OK, I get the idea that he is saying that great oration is not the point and I agree with that. But Paul, the Calvinist prophet, has routinely said that what he does, simply, is preach Jesus, and Jesus crucified. I have come to realize that Calvinists turn everything around to be something about them instead of something about Jesus and this is a great example. Come on ” the blessings of effectual calling, regeneration, and adoption” what is that? I study this stuff all the time and I can’t tell you what he is talking about. Nonsense. DeYoung is so wrapped around the axle of his own theology that he has totally lost the ability to say something that relates to real people. Even worse, he has neglected the actual teachings of Jesus enough that he considers the teaching to be “predicated on theological propositions” therefore you need to know those before you know Jesus. Poppycock. DeYoung has lost touch with reality. It has been awhile since I have posted, but it has been because I have been busy and not lazy. 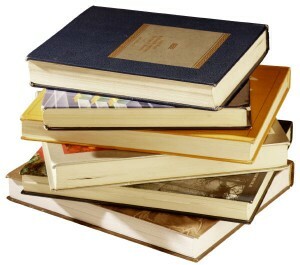 As far as thoughts, ideas and Christianity, I have read or am reading a couple of books. First, I cannot recommend too highly Scot McKnight’s new book, The King Jesus Gospel. This book largely makes the whole concept of my site irrelevant since it tells the true story of the gospel. Exactly what I was looking for. Next, I was intrigued by the historical Jewish approach toward many of our modern problems. Richard Friedman and Shawna Dolansky have written a very readable book about subjects such as homosexuality, abortion, women, capital punishment and the earth (actually that covers the whole thing). Their book, The Bible Now looks at the bible in the context of having to make decisions about these issues in today’s environment. Although there are no new testament considerations since the authors are Jewish, the book is a must read for those of us who want to understand these decisions and absolutely required for those who hope to influence others. I have also started to study the letter of James. Although I already had the Tyndale version of the Doublas Moo commentary on James, I was looking for something a bit up to date. For those who do not know, Moo has written two versions of a commentary on James and apparently I have been reading the inferior of the two. After talking with appropriate theologians, I got Scot McKnight’s (I really like Scot) fairly recent and quite comprehensive tome on James. If you want a comprehensive study I highly recommend it. The historical and biblical research and interpretation is impressive. I have also been trying to finish Scot’s Community Called Atonement, but that repeatedly goes to the back in light of the more recently publish works. But it is quite good and recommend it. I also have read and re-read a couple of times the John Piper response to N.T. Wright’s book on Justification. The Future of Justification, A Response to N.T. Wright is a Calvinist rebuttal to the new perspective exposition of Tom Wright. I am not a 5 point Calvinist, actually I am a zero point Calvinist, but I often find that counter arguments to concepts provide good illumination into the context under scrutiny. In this case I am just further reinforcing my view that the Calvinist movement simply misses the point as to what Christianity is all about. I have also read twice, Pope Benedict’s wonderfully illuminating book Jesus of Nazareth: From the Baptism in the Jordan to the Transfiguration. I know that many of my protestant friends will be reluctant to read an obviously Catholic book, but it is well worth it. This book is not full of church dogmatics, rather it is full of substantiated reason and exegesis of the core biblical texts. Well worth the time. The reading pile has gotten bigger with various other titles, but the one I most looking forward to is the classic by Ayn Rand, Atlas Shrugged. I am into the first couple of chapters and quite entertained. I hope you all enjoy some of these as much as I have.